April 15, 2019 at 8:45 am. Contrary to the abovementioned 55% surge in buybacks, as the top 10 tech companies spent more than $169 billion on buybacks in 2018, up from $109 billion in 2017, hiring fizzled, as worker ranks grew just 8.7% in 2018, versus 24% the year before. Clearly boosting employee numbers was not the key concern for corporate executives. Intel Cuts Jobs at An Autonomous Vehicle Team, Information Says. Tory MPs reject changing rules to allow a leadership challenge to avoid "rocking the boat" ahead of local elections. 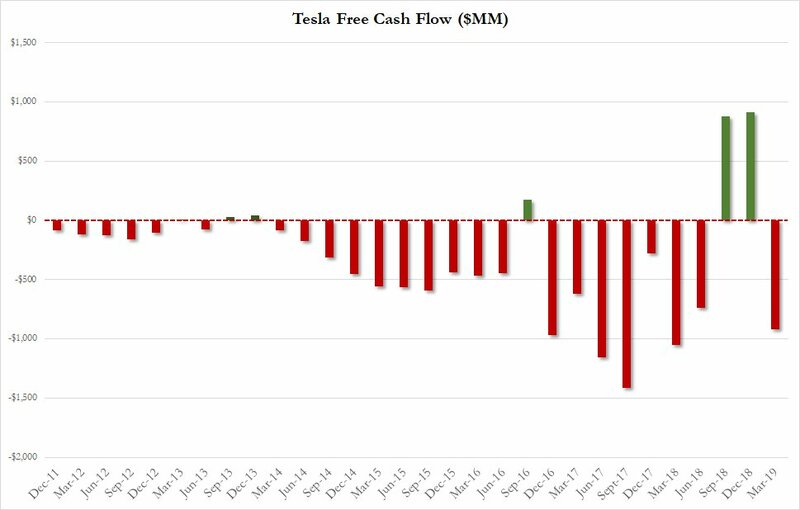 "Sufficient Model 3 profitability was critical to make our business sustainable" - Elon Musk, Oct 24.